Today marks the release of Somewhere Nice, Someday the final full-length recording from beloved east coast shoegaze concern, Infinity Girl. After forming in Boston in 2012 and releasing their spectacular debut, Stop Being On My Side as well as it’s short playing accomplice Just Like Lovers EP the band relocated to Brooklyn for their extraordinary sophomore release, Harm. From the early basement shows which were equal parts sweat and clamor to the tuneful and inspired pop hooks of the bands recorded output Infinity Girl always seem to hint at something deeper. On the new album it’s even more evident that there is considerable substance at the foundation of these tracks. Like the material that proceeded it, the songs that occupy Somewhere Nice, Someday offer something exhilarating, engaging and wholly unique which is a testament to the band’s prowess for distilling intelligent and affecting rocks songs, enveloped in fuzz. 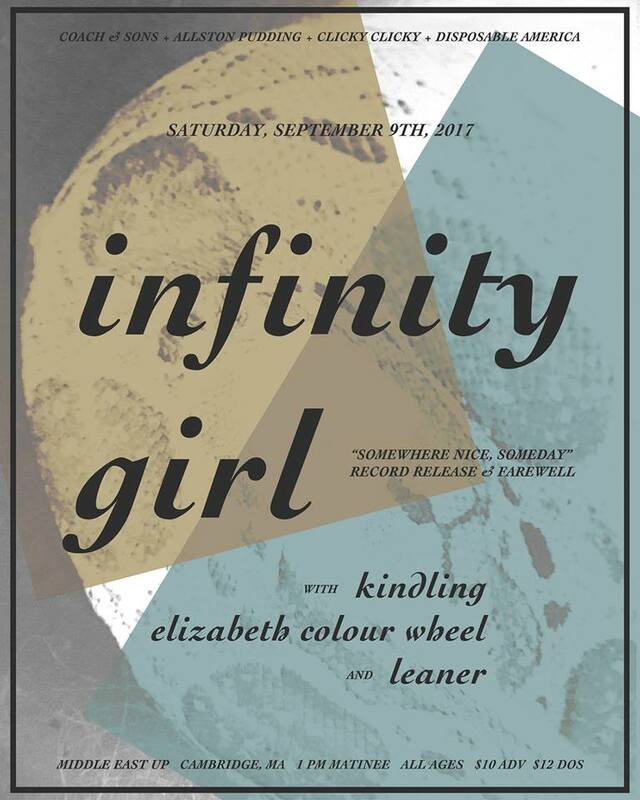 In a final act of celebration and requiem, Infinity Girl have embarked on a small string of Live dates which fittingly will bring them back to Cambridge for their final performance tomorrow afternoon for a matinee show at The Middle East. We recently had the pleasure of speaking Infinity Girl’s frontman, Nolan Eley to discuss the band’s just released new album, belonging to two scenes, and putting Infinity Girl to rest. The Ash Gray Proclamation: Let’s begin with obvious, why has the band decided to put an end to Infinity Girl while coinciding with a new LP, Somewhere Nice, Someday? Nolan Eley: It was a gradual shifting of priorities in all our lives. It was simply becoming more difficult for us to give the band the time it needed for make it worthwhile so as we were finishing up this album, we decided it would be our last. The Ash Gray Proclamation: What was the process for creating the new LP? Nolan Eley: We wrote most of the songs in the Fall/Winter of 2015 then recorded basics in the Summer of 2016. The following months were spent editing and recording overdubs and vocals. Then the early part of this year was mostly mixing and mastering. The AGP: There is a theme present in the new material of hesitation towards the maturation process. Can you tell what the catalyst was to take on that subject? Nolan: Yeah, a lot of the songs on this album deal with that. Not really hesitancy so much as just coming to terms with being an adult. I think it’s a natural outcome of being at this point in your life. I’m sure we could’ve written songs about other things but they would not have been as sincere or honest. The AGP: The new LP’s title Somewhere Nice, Someday has a ring of hope to it. What was the motivation behind that title? Nolan: I think it’s equal parts hopeful and hopeless. We were looking for a title that reflected the longing and uncertainty that comes at this time in a lot of people’s lives–that of a young adult, unsure and questioning. The AGP: You have once again teamed with Dustin Joshua Smith Watson and his Disposable America label for the release of the new album. How did that partnership come about? Nolan: We’ve been following his label for years, ever since we were in Boston ourselves and really love his attitude toward what he does. He’s definitely in it for the right reasons and puts out a lot of great music. He reached out to us as we were putting out our last album, Harm, about printing tapes which was awesome. As we were formulating release plans for this album Disposable America was pretty much the only label we wanted to reach out to. Thankfully, Dustin was on board even though we’re breaking up. The AGP: How has the band evolved over its six year existence? Nolan: It has evolved pretty naturally I think. We were never really concerned with how to brand ourselves or about going in a specific direction so any evolving we did was just a byproduct of changes in our circumstances. I’d like to think all our albums are pretty earnest and reflect candidly what our preoccupations were at the time of writing them. The AGP: What will you miss most about being in Infinity Girl? Nolan: Playing shows with really great bands. The AGP: Which one’s come to mind when looking back at these shows? Nolan: Mostly the bands of our best friends, like Big Eater, Kindling, Coaches, and Happy You, but also bands I’m unfamiliar with that then surprise me. A recent example is this band Marge from Philly that we played with a few months ago. I had never heard of them before the show but I loved them! Their latest record, Bruise Easy is probably my favorite of the year. The AGP: What can we expect from the final performances which culminates with Saturday’s afternoon set at the Middle East? Nolan: Hmmm.. Nothing special really. We’re trying to play some songs we haven’t played in a while. Let’s just hope I can remember them. The AGP: What has it meant to belong to both the Boston and NYC music scenes ? Nolan: It was great to be a part of both. It gave me a good perspective on what is special about both scenes. Boston’s community is much more supportive and tight-knit. 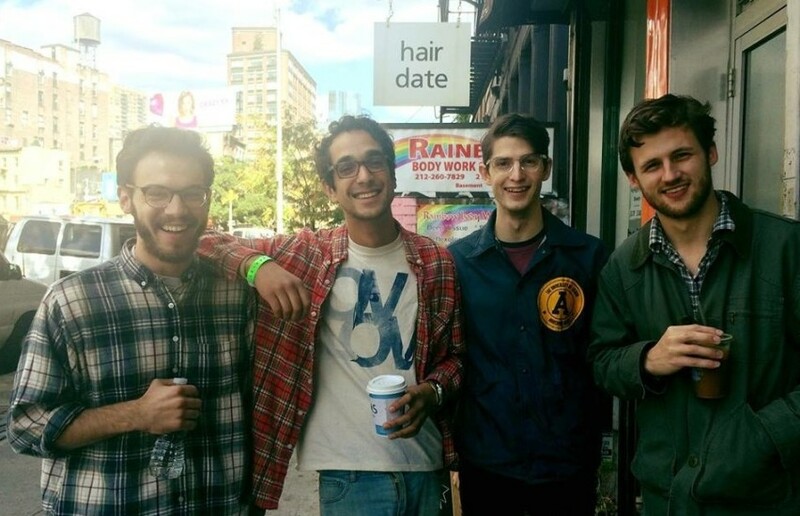 New York, on the other hand, has a seemingly endless supply of amazing bands. Just when you think you know the scene pretty well you’ll catch a band you’ve never heard of and they’ll just blow your mind. The AGP: Has the band put any thought into how Infinity Girl will be remembered? Nolan: I’m not sure. Stuff like that never really seemed to be on our minds. We were just friends with a similar taste in music that liked making records. If people like listening, that’s great. I’d honestly be surprised if anyone is still listening in ten years. The AGP: What’s next for you in terms of future musical endeavors? Nolan: Some of the guys will continue playing in this band, Coaches. A few weeks ago I put out a solo record under Dotted 8th’s and I’ll probably continue making music like that but I have no plans to put together a band or play any shows.